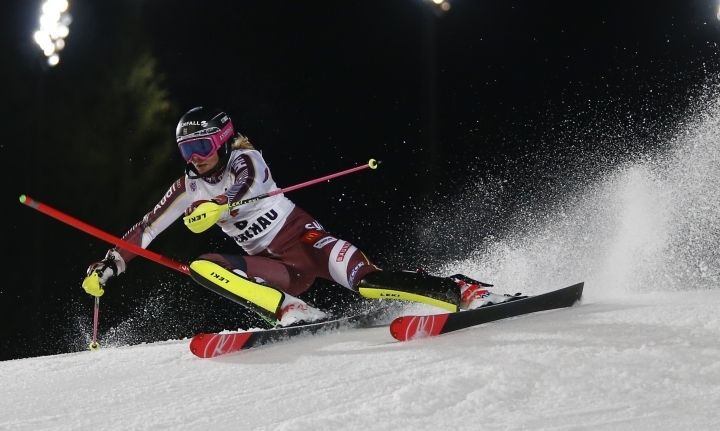 FLACHAU, Austria — Olympic slalom champion Mikaela Shiffrin used a frenetic final run to stretch her winning streak in 2018 to five races at a women's World Cup night race on Tuesday. "My timing, my feeling, my rhythm was so much better than in the first run," Shiffrin told The Associated Press. "Actually, the biggest change was just my mindset. It was a nerves' thing. If I am a little nervous or anxious, my timing is off, then it can make everything look really terrible." Less than five weeks before the Olympic slalom in Pyeongchang, the American called her recovery in the final run "a really big step for me." "This was the first time that I was coming from behind in the first run and I had to make a statement," she said. "That was really important for me, a really big checkmark on the way to the Olympics because when we are there, anything can happen, and I want to be mentally prepared for all those possibilities." "I grew up in Saalfelden, nor far from here. So this is really a home race for me. It was amazing for me," Schild said. "I didn't feel pressure, the audience gave me energy." The previous time she led a slalom after the opening run, in 2013 in Courchevel, she lost her advantage to her older sister Marlies Raich. Now retired, Raich holds the record for most slalom wins (35) on the women's circuit. 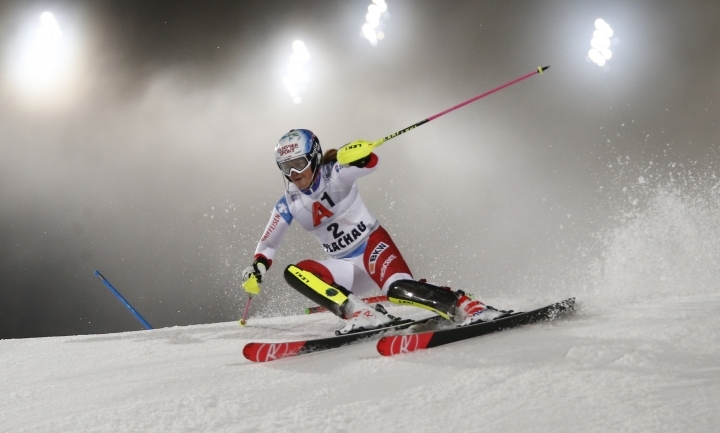 Shiffrin's win on Tuesday was the American's 30th in the discipline. 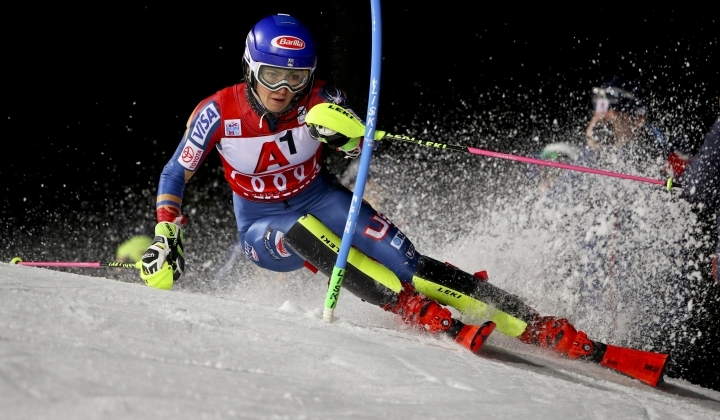 "She is such an amazing name, legend in ski racing," Shiffrin said about the Austrian great. "A lot of people say you can't really compare (the eras) and I agree with them. It's incredible, nevertheless. I wasn't thinking about the 41st victory, I was just thinking, you know, ski this one like this is going to be that last one you'll ever ski." After 19 of the season's 38 races, Shiffrin has amassed 1,381 World Cup points. Four years ago, that amount would have been enough for the overall title as Anna Veith won it with a total of 1,371. After seven races in 13 days, Shiffrin will skip the next World Cup — speed events in Bad Kleinkirchheim this weekend — to rest and have more time for training.